It’s never been easier to get rid of the rubbish, waste and clutter in your home. 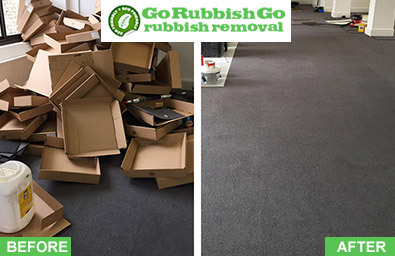 Don’t waste your free time clearing rubbish from your house – give Go Rubbish Go a call and we’ll do it all for you! With one phone-call we’ll come to your home, collect all manners of waste and trash and transport them away for safe disposal. Our house clearance HA1 services are fast and discreet, with us you get great value for money and results that are sure to impress. We have many years of experience, a wide range of Harrow house clearance services available, and friendly specialists just waiting to assist you. Whether you’re moving to a new home in HA2 or just looking for more storage space, we’re here to help you. Book today by calling 020 8610 9182! You might think that your house clearance Harrow is going to be expensive, but if you hire us you will get top class services at very low prices. 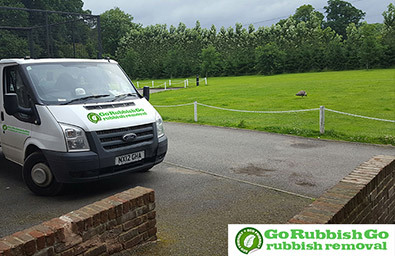 All of our rates are competitive and budget-friendly, and if you hire us you’ll get a comprehensive service with no need to rent a van or hire a skip. We’ll save you more money with special discounts and offers, and there are lots of excellent reasons to choose us, including our fantastic money-back guarantee! With no hidden fees to worry about, and accurate price quotes just waiting for you, why not give us a call now! Get your ideal HA1 house clearance service without spending a fortune – call now to find out more! When It Comes to House Clearance Services We’re the Best in Harrow! 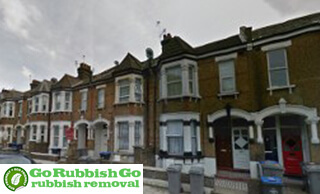 Only we can provide you with everything you need for your house clearance in Harrow. We won’t just clear out your property to perfection, but we’ll also use the best equipment to guarantee exceptional results, and we’ll also send you seasoned professionals to make sure the job is done to a high standard. We’ll collect and dispose of the waste, junk and mess in your home so that you can enjoy more space and room, and we’ll work quickly and discreetly, with attention to detail that will leave not a scrap of waste behind! Your house clearance in HA1 is important to us, and we’ll make sure your house has never looked better. Save time and effort by booking your service now call us on 020 8610 9182! Our team are fully committed to providing a nature-friendly Harrow house clearance for every home, and if you care about the planet then you’ll love our services! Unlike other companies in HA1 we make sure all of the waste we collect is separated and sorted to ensure that any goods that can be recycled, are! The rest of the rubbish we collect is always disposed of safely and properly, giving you no cause for concern when it comes to the impact of your HA1 house clearance on the environment. We also strive to be as eco-friendly as possible by using fuel-efficient vehicles to transport your goods. 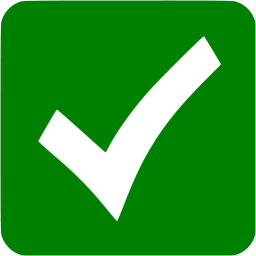 Make sure your clearance is as green as possible by hiring our company now! If builders have left a mess after renovations, or if you have waste to get rid of in a hurry then we won’t let you down! Our Harrow house clearance company is very flexible when it comes to our bookings, so whether you need a same-day service for an emergency, or even if you need our help on an evening or weekend, you’ll be impressed with our speedy services! We work quickly and thoroughly whenever you need us, and you can even cancel anytime should your situation change. Hiring our HA1 house clearance company is the best way for you to get professional help whenever you need it, so why not call and reserve your appointment today! Dial 020 8610 9182 now to book! 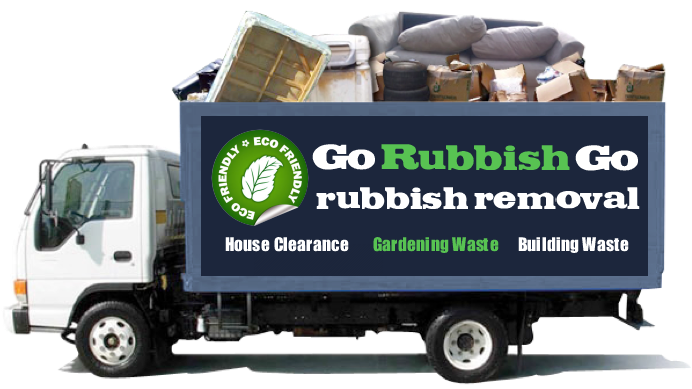 Hire Go Rubbish Go for your HA1 house clearance job right now! We’ll clear waste and junk from any room of your home, preparing your property for your move, for renovations or even providing more space. Clearing out your house can take a lot of time, but our specialists can stick to even the toughest schedule, delivering the amazing results that you want to see. A house clearance in Harrow from us is 100% guaranteed to impress, so why book with anybody else? Hire us now and enjoy professional clearance help in HA2 without having to get your hands dirty. Reserve your appointment now and take advantage of our deals – call 020 8610 9182 and speak to a team member today! Harrow is a huge town in North West London in the London Borough of Harrow. Harrow is famously home to the University of Westminster campus as well as its oldest schools, Harrow High school and Harrow School. It has a population of about 33,928 as of 2011. Usurp Art Gallery and Studios is one of the most notable art galleries in Harrow, which is certainly worth a visit. In the area, there are also two shopping centres and the well-known Harrow on the Hill. Harrow on the Hill Station, South Harrow Tube Station and West Harrow Tube Station are some of the stations that serve the area. Overall, it is a beautiful town with a great atmosphere and lots of interesting sights.